True Wild Life | Goat | Goats originated from the mountainous areas of west Asia and eastern Europe, grazing on hillsides and plains. 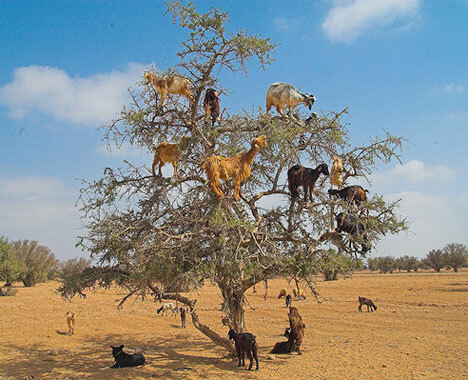 Modern day common goats are known as domesticated goats and are thought to be very closely related to a sheep. For thousands of years goats have been used for their meat, hair, milk and skins. In some countries goats are also used to help with carrying heavy loads. One of the rarer species of goat is the fainting goat from Tennessee in the United States. These goats literally freeze up, the goats legs go rigid and the goat falls over. The goat will soon get back up and continue grazing until it happens again. Most species of male goats naturally have two horns on the top of their head. The horns of the goat are made out of the substance keratin, from which human fingernails are also made. The male goats mainly use their horns to defend themselves from other dominant male goats and from unwanted predators. 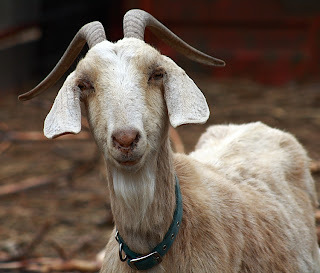 Some species of goat also have females that have two horns on the tops of their heads. Goats are typically found in more barren landscapes and many species of goat tend to prefer mountainous and rocky terrains. The goats that inhabit the mountainous cliff faces are amazingly agile and are able to hold their hold well on small ledges and are very adept at jumping and running around on them. The goat is natural prey to many predators which include leopards, tigers, large reptiles and most commonly humans. 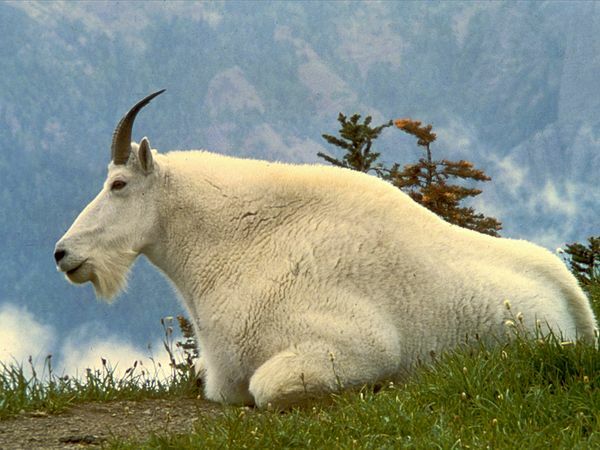 Today the goat is also found in parts of South America where the goats are farmed and hunted for their meat and skins. 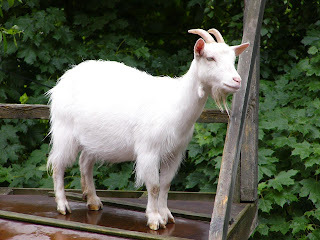 The goat is most closely related to the sheep and there are many similarities between the two species as well as a number of differences which include the tail length of the goat which is noticeably longer than the tail of the sheep. like goat also as of now i buy 2 female in the province that is were i start to make them grow. once a goat dicided that my hair was hay. I like the goats too.